According to both NASA and Sky and Telescope, Comet Elenin has disintegrated. A first-time comet, meaning it had never been into the inner Solary System before, Elenin was predicted by astronomers to be a bright, beautiful comet, if not quite in the same league as Hale-Bopp. It was simultaneously predicted by some (who didn’t understand orbital mechanics) to be the end of the world. Instead, its falling inward toward the sun proved to be the end of the comet. Coming in from outside the plane of the ecliptic, it would have made for a gorgeous sight for Northern Hemisphere observers, who haven’t had a bright comet placed for good viewing in some time. The inclination of this comet relative to the ecliptic (plane of the solar system) would have changed that. Instead, by April it was showing signs of coming apart at the seams. In August, it was hit broadside by a large coronal mass ejection from the sun, which blew away much of the volatile material that would have made it a lovely comet. All that’s left of the once and never “planet-killer” is a loose, wispy cloud of gas and dust, rapidly dispersing, according to photographs. Hopefully, so too will be the rumors of its threat. First Book of a New Series! Shameless plug! Book 1 of the Displaced Detective Series, The Case of the Displaced Detective: The Arrival (for more information see http://www.sff.net/people/steph-osborn/DDTheArrival.html) will be released in November! The official release date is 15 Nov, but that’s the day it comes from the printer. Books won’t be available from stores (website or otherwise) until around 28Nov-1Dec. Currently Barnes-Noble is accepting pre-orders, and it will be on Amazon as well, but hold that thought for a moment. Because I am proclaiming Thursday, 1 Dec, to be The Arrival Day! I am asking all my fans to WAIT and place their orders/purchases on that day, 1 Dec, in the hopes that we can push it as high as possible on the best-seller listings! So please hold off ordering until that day, and then EVERYONE buy on that day! Also please feel free to forward this email to anyone you think will be interested in a science fiction spy mystery that INCLUDES Sherlock Holmes! That means SF fans, mystery fans, spy mystery fans, Sherlock Holmes fans, and anybody that likes a good read! This story idea hit me and came spewing out in two months! I’ve never written so hard, so fast! I’m very proud of it and I think you’re going to really enjoy it! So let’s work together to ensure it does great! Iran likes to pretend that its atomic program is solely for peaceful purposes, but they do like to rub their centrifuges in the rest of the World’s face. 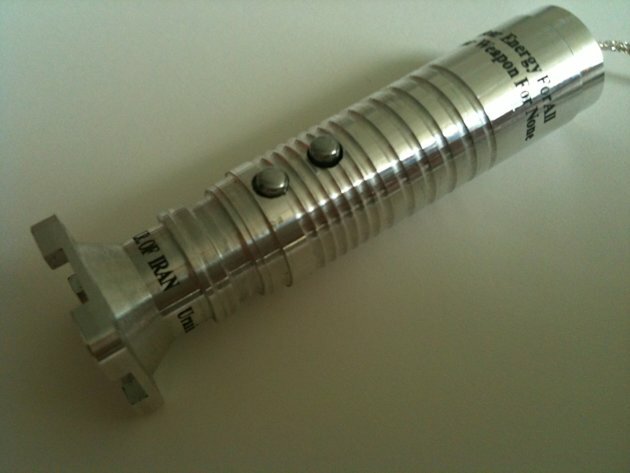 According to a news report, at a recent meeting, they handed out laser pointers in the shape of a centrifuge. Dang, I want one. Frankly, it is important that rogue regimes don’t have nuclear weapons. If you think Iran isn’t rogue, then it is probably ok in your mind. I ain’t real happy with Pakistan having nukes. I don’t mind France, India, or Isreal having them, I really don’t like Russia or China having them. But hey, what can we do? They are there and they aren’t going away. Iran doesn’t add much to the whole problem…except the fact that they might do something crazy with them. Iran has a long history of providing missiles and guns to militants. You can say that the US, Russia, and China are equally guilty of that. Only North Korea and Pakistan have sold nukes openly. I expect that Iran will join that club, no matter what assurances they give. But hey, I’m a pessimist. Maybe you aren’t. Just a bit of warning to you folks, the global weather pattern is pointing to a cold winter. The only up side is that the sun is going to be above average activity, so there should be a bit more solar warming this winter, HOWEVER, that sunlight may not make it to the ground. It is noted that earthquake frequency and magnitude are increasing near a “twice a century” volcanoe that hasn’t erupted in 98 years. Sure, it wants to wait till the centenial to have its big coming out party, so we might get a couple years, but there are various techniques that indicate a blow may occur in the coming months. The pattern doesn’t include information on A waves or B waves, so I have no idea on the time scale, but it something to keep abreast of in future days. It would certainly drop northern hemisphere temperatures by a degree or two if it went off, not to mention costing billions and billions of damages to western europe. Below is a google map image of Katla, the evil troll at the South corner of Iceland. Had this passed to me by a friend on facebook. This was a very interesting video. I was at a loss to explain “magnetic locking.” Maybe I just got hit in the head too much at Kung Fu tonight, but, still ain’t got the math for this straight. Lets play with sunspots. The current solar cycle prediction is still (I think) unduly optimistic. I could be wrong, but given the sudden steep ramp up in solar activity, we are likely hitting the true peak. I expect sunspots will get slightly worse over the next three to six months, then level out for a year, then drop like a stone. The picture below is from their site. Lovely work they all do, but I still disagree. Still, basically we agree which is far from their statements a couple years ago, when this was going to be the worst solar cycle Evah! not. A bigger better version of the BigDog robot. and the ongoing work with 2-legged robots. Its easy to dismiss the BigDog and the AlphaDog products. I could have designed the control system when I was a kid. Some tank treads instead of legs, and this could have been built in the 70’s. Sure, it is an excuse to build robots that can walk, but hey, who needs em? The real problem with walking is falling down, as Mabel is quick to point out. Even when keeping Mabel to a 2-D problem and building software to make the problem essentially 1-D, it still requires a raft of sensors and thousands of lines of code to keep walking or running. Wheels? heck, no sweat.